Please read the notes in the PDF file for more detail as well as other options such as hiring a car or day trips to Perth or Fremantle via public transport. Briefly, we have summarised the main points of interest below. 2. For delegates flying into Perth on Saturday 30 November 2013. We may put on a special bus on the Saturday if there are sufficient numbers.We will let you know once final registrations close. Please note that there is a special EVENING arranged for delegates on Saturday 30 November, 2013. See more details here. 3.1 You can catch the Perth City Shuttle from either Perth Domestic Airport or International Airport to the Esplanade Train Station (cost from $15 depending from which airport. 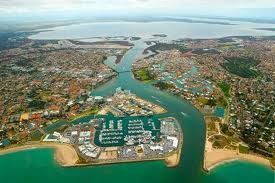 See http://www.perthairportconnect.com.au). 3.3 Then take bus 588 from the Mandurah station to bus stop 17704 (adjacent the Visitor Centre - yellow building/signpost) on Mandurah Terrace (about 8 minutes). The fare from the Mandurah train station to the Tourist Bureau is FREE since it includes that zone. Show your ticket to the driver. You can also catch bus 589 but it stops on the other side of the road (Mandurah Terrace) closer to the City Council building. 3.4 Then you walk along the boardwalk to the TSMH (about 5-10 minutes). You can see the Sebel Hotel across the water. You can also walk to the Atrium Resort at this bus stop or ask the driver to stop closer to Atrium Resort. See for Perth Transperth http://www.transperth.wa.gov.au/ for more details. 4. Thursday 5 December 2013. After the conference we have arranged a special bus departing 1:15pm from TSMH to Perth domestic airport. Please indicate this option in your registration (cost $20). Please add your flight details as well. Last updated 7 Julty 2013 (md).